*The information below mostly pertains to the species of our local raptors and education ambassadors. For the most thorough and up to date resource for raptors and North American birds we HIGHLY recommend purchasing a subscription to Cornell’s Birds of North America online. It can be purchased for $42 a year or you can browse for 1 month for $5 before committing. Full list of selected readings, web resources and apps can be found here. A raptor is any bird that uses talons to catch and/or kill prey. There are other carnivorous bird species but only raptors use their talons to catch/kill. Sometimes Turkey Vultures are lumped into this category but are technically not raptors. There are many other carnivorous birds like crows, ravens, shrikes, herons and egrets but they do not have talons that they hunt with. Raptors are usually divided into two categories- diurnal (day-hunters/awake during the day) and nocturnal (night hunters/awake at night). Some of the nocturnal raptors are also considered crepuscular hunters because they hunt just before sunrise and during and just after dusk. All of our non-owl education ambassadors (the hawks, falcons and vultures) are diurnal raptors. Most owls are nocturnal but there are several species that are diurnal which include Northern Pygmy Owls, Short-Eared Owls, and Burrowing Owls. Our nocturnal education ambassadors are the Great-horned Owls, the Screech Owls, Tito the Barn Owl and Spooky the Barred Owl. Nocturnal raptors rely on hearing more so than vision, which is the opposite for diurnal raptors whose vision far exceeds their hearing. Because owls are hunting at night, when there is less light they rely on extremely powerful hearing in order to locate and catch prey. Their facial feathers, also called facial discs channel sounds into their ears at such a fast rate (30 millionths of a second) that a 3D image is created from where exactly sound/movement is coming from. This is called stereoscopic hearing. 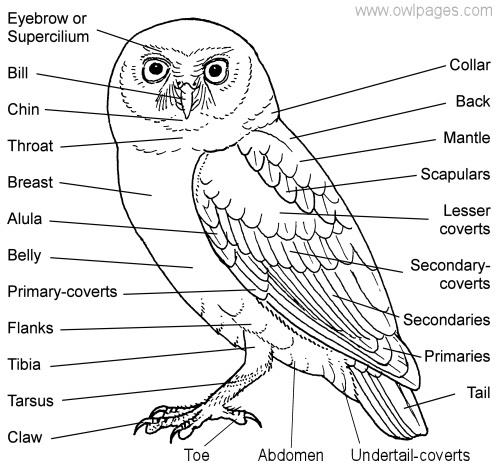 Owls ears are also located asymmetrically on their skull which allows them to channel sounds from above and below them. The eyes of nocturnal owls are also especially evolved for their hunting style. Owls eyes are extremely large and have high amounts of rod cells, which are the light sensitive cells of the eye. Owls have about 70% binocular vision. Their eyes are fixed in their sockets, so they can't actually move their eyes, which is why they have such a large range of motion in how far they can turn their head, which is about 270 degrees. Owls are able to do this because they have 14 vertebrae in their necks- which is twice as many as humans, and giraffes. For more information on owls, owlpages is a great resource. Diurnal raptors, unlike nocturnal owls, rely much more on their vision in order to locate and catch prey. Hawks and falcons for example have vision that is eight times stronger than humans. This enables them to see and distinguish their prey from far away. *All raptors also have a third eyelid known as the nictitating membrane which is used to clean the surface of the eye, but also to protect it when birds are traveling at high speeds or through brush that could damage the cornea. Most raptors eat a variety of small mammals and birds. Depending on where they live, a lot of them will also eat small reptiles like lizards, frogs, and snakes. Some will also eat crabs, crayfish and other aquatic prey. Smaller falcons and owls will also eat moths, worms, dragon flies and other insects. Eagles will also eat fish and larger mammals. For more info and species specific diets , Cornell Lab of Ornithology is a good resource! Talons are what differentiate raptors from other birds. 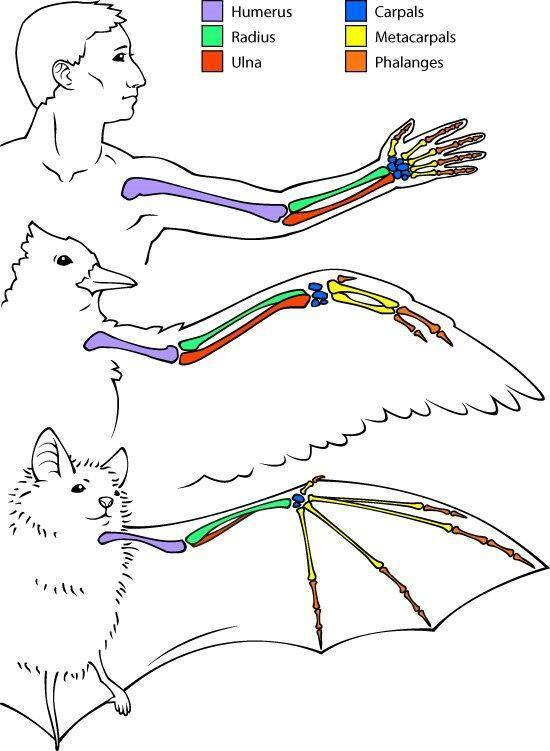 They use their powerful talons to catch, carry and kill prey. Talon force of birds of prey can be incredible strong. Great Horned Owls can deliver 850+ pounds of pressure with their talons. Toes and talons of raptors work like ratcheting devices that clamp down on prey and are incredibly hard to loosen. 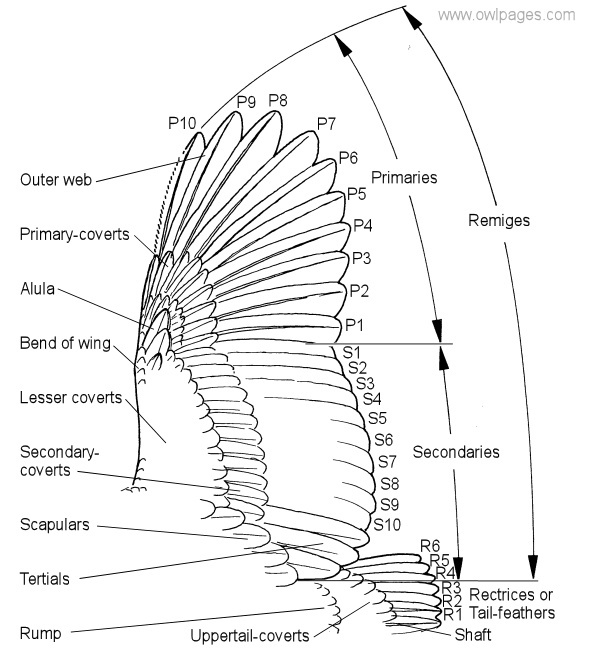 Depending on the raptor, the foot will have a different formation of talons. Anisodactyl, with three toes forward and one behind (the hallux) is the most common- hawks, eagles and falcons are are all anisodactyl. 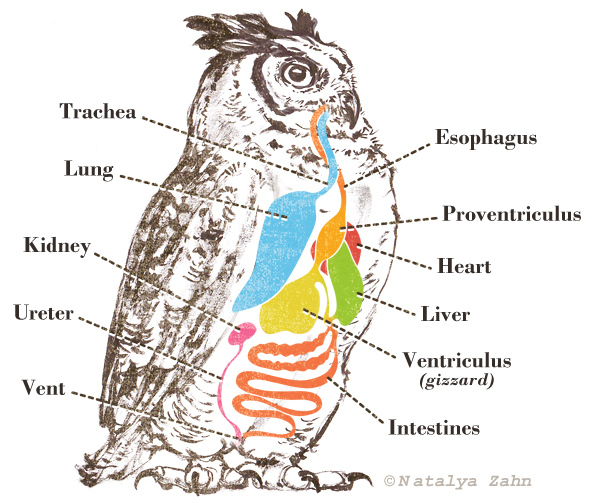 Owls are zygodactyl which means they can alternate between three forward or two in front and two in back. When perched they usually have two forward and two back but when hunting or in flight, their 4th digit swivels to the front. Birds or prey will often ingest prey whole if it is small enough. If prey is larger they will tear off smaller pieces. All birds of prey produce castings or pellets. When birds of prey consume their prey, the food will pass to the proventriculus which is where the food begins to be processed. The proventriculus also known as the glandular stomach, contains enzymes and mucus that break down the food. The food is then further filtered in the muscular stomach, also known as the ventriculus or gizzard. Undigestible food parts like fur and bones are formed into a pellet that is then coughed up by the bird, usually every 12 hours. *Hawks, falcons, eagles and vultures have a crop which is a sac in the throat that will also hold food before it passes to the proventriculus. Owls do not have a crop. Bird banding terminology and codes. -Birds of prey are incredibly light so they can fly with ease. The majority of birds bones are hollow and unlike humans who are made up of mostly water, birds are made up of mostly feathers. -Raptors' feathers, bills and talons are made up of keratin which is the same protein that makes up human hair and nails. -Owls have tiny bristles on the outer edges of their feathers so they can fly silently. 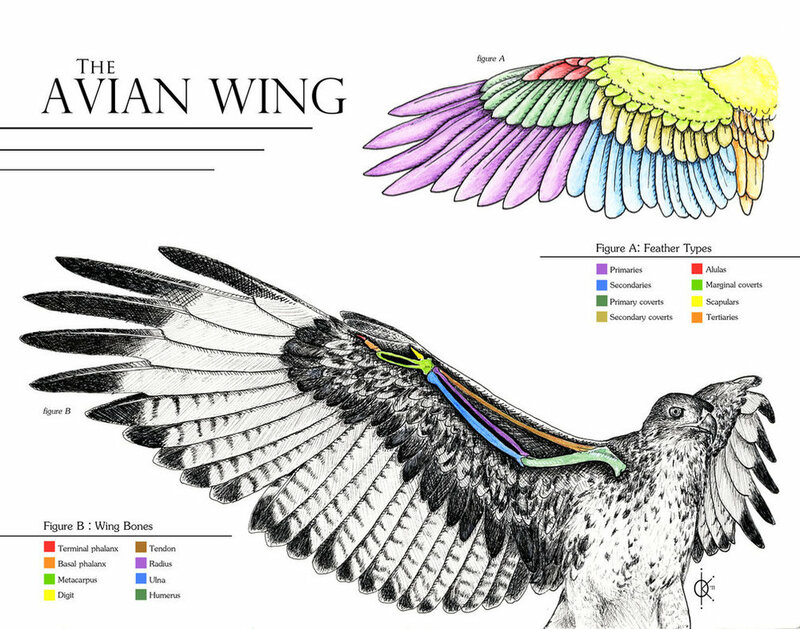 -Birds of prey have unique respiratory systems that feature air sacs in different parts of the birds body that filter air and also add to the lightness and physics that enable them to fly. How to interact safely and respectfully with our Education Ambassadors and wild patients. When volunteering in Animal Care, ORC staff will determine when you are ready to be trained to clean the outside aviaries and mews of our education ambassadors. Avalon, as well as Sassie and Handsome are off-limits to volunteers. ORC staff will train you to clean the mews and aviaries of our education ambassadors. It consists of raking feces into the ground, picking up leftover food and making sure hackboards, perches and water containers are clean. We do "trust" all of our education birds but it is important to keep in mind that although many of them are imprints, they are all wild animals. It's always best to be vigilant, move slowly, and speak calmly while cleaning or entering their mews and aviaries- it is always the goal to cause as little stress as possible while making sure their living environments are clean and comfortable. Keep in mind some of them have visual or auditory issues. *During nesting season some of our birds will display different behaviors, they may be more vocal and act differently. Working with and around wild birds is very different from working around our education ambassadors. The stage of rehabilitation of the bird will determine where it is on ORC campus. The most critical cases will remain in the inside infirmary, after that, depending on their size/specie they will either graduate to the cliffs or to one of the outside aviaries or flights. Birds in the infirmary will be in various conditions. Some of them will be in shock, experiencing pain, dehydration and other problems. All of them will be fearful and stressed because of their proximity to people. Fear and stress can greatly affect the rehabilitation of each bird. Birds can die from stress so we try and limit sound, interaction and handling of patients. While working inside the infirmary please refrain from peeking behind towels to see what bird is in the rack. Upon seeing a human, birds will become agitated when they should be staying quiet and still. We encourage you to read their intake charts to learn about each case and familiarize yourself with who is in need of what kind of care. Also please be quiet, we do not want bird patients to become accustomed to the sound of human voices- for babies, it increases the chances of imprinting and habituation and causes stress in adult birds. We know it is tempting to talk to the birds, especially during nesting season when we have a lot of baby birds at the center but hearing and seeing humans only creates stress, fear and/or an unwanted familiarity with people. Cleaning aviaries and mews consists of the same tasks as cleaning the ed. bird enclosures: raking feces, picking up leftover food, and making sure perches and water bowls are clean. Although patients who are in the outdoor areas are less critical than the ones in the infirmary, we want to keep the same mind set- we want to limit their exposure to people. When you are cleaning a flight or aviary that contains wild birds, be vigilant but try not to make eye-contact, this can induce stress and fear in the birds. Move around quietly, and calmly yet expeditiously. The faster you can quietly and calmly clean each area, the better. Anthropomorphizing is when we as people attach human attributes to non-humans, like animals. An example of this would be- "The hawk likes it when I speak in a calming voice." We don't know if hawks like or dislike things because "liking" something is a human characteristic and has not been proven by science to be true for birds. You may like when people speak to you in a calming voice because universally that is meant to calm other humans down, it is not the same for wild animals. Wild animals hear your voice and are in fear. Another example of anthropomorphism would be "the hawk doesn't even move when I open the cage, it doesn't mind that I am there." It's not a question of whether or not a wild animal might "care" it's more of a question of whether or not your action instills a flight or fight response in a bird. When a lot of our bird patients are motionless it means they are either incapacitated by their ailment or they are paralyzed with fear- it never means they are "ok" with us being around.